Following on from the girl’s contribution, the guys also took turns behind the mic – Sammy Leighton Clay and DJ Ironik pictured – and on the pitch. Celebrities from the world of TV and music were extremely competitive in their attempts to raise the winner’s trophy aloft, with the team led by Danny Wisker coming out triumphant. ‘Heavy D’ joined Danny to receive the trophy. 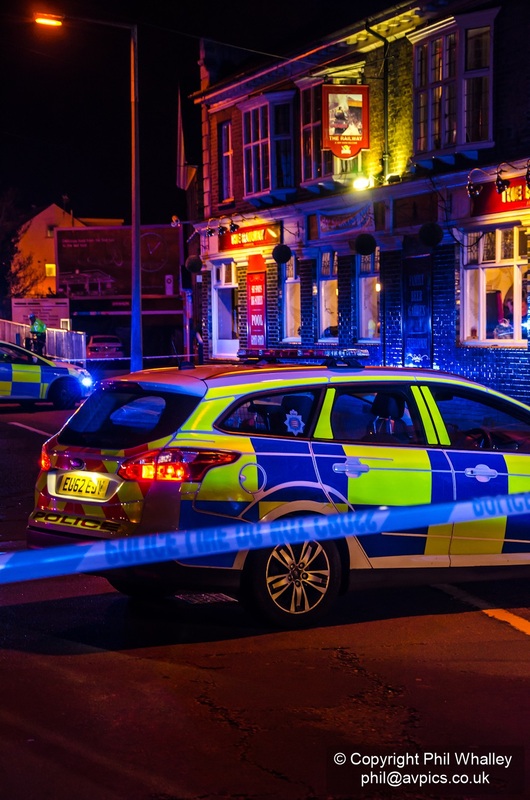 Police used CS spray to break up a fight between rival Southend Utd and Cambridge Utd football fans outside The Railway pub in East Street, Southend, having been called at 19:20 Saturday evening. 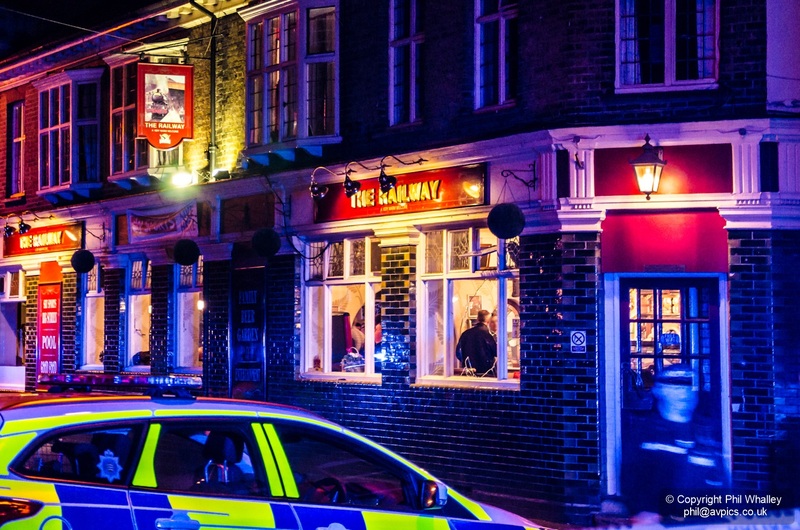 Three men were arrested following the clash outside the pub, which is said to have involved about 15 people. 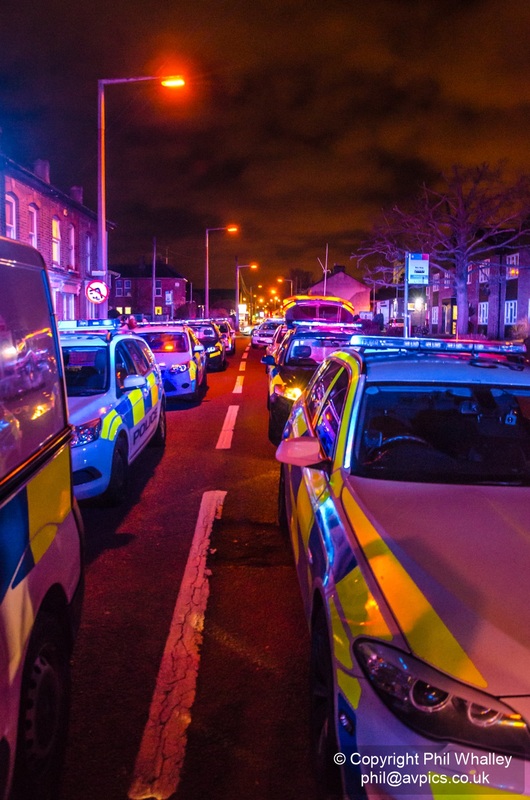 A man in his 40s from Suffolk was found on the ground with serious head injuries and was taken to the Royal London Hospital. 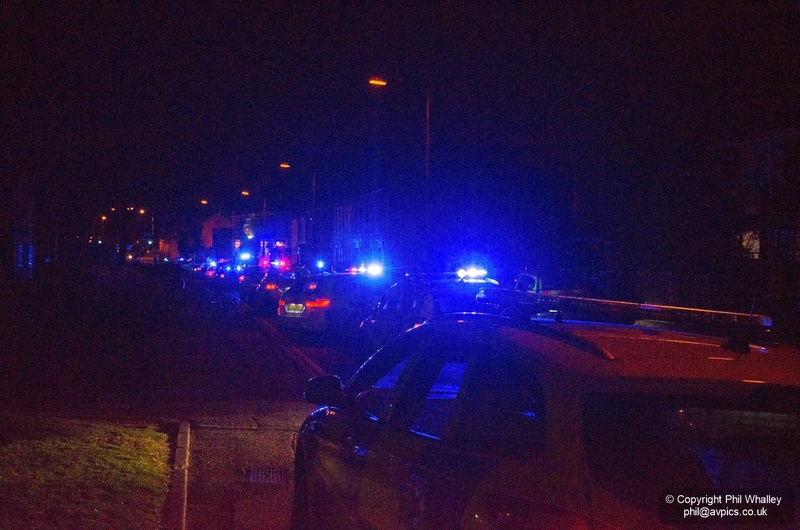 Essex Police arrested two men on suspicion of causing grievous bodily harm and one for criminal damage. 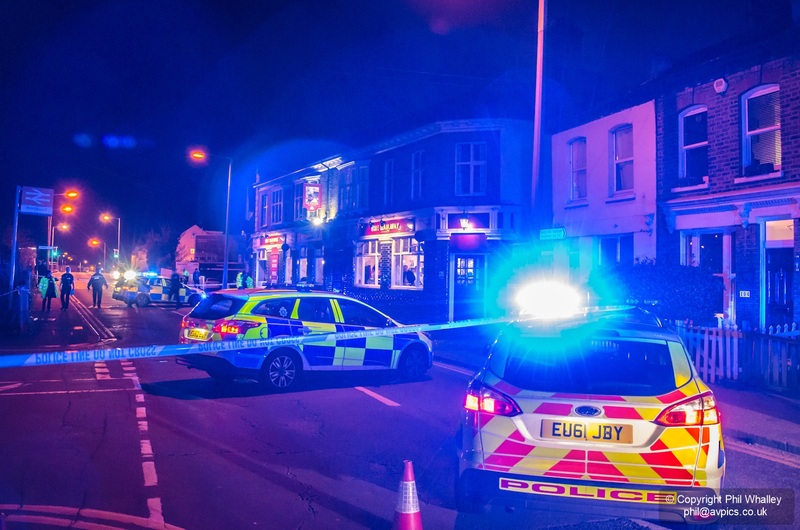 The following images were taken after police had secured the scene and closed the road whilst forensic evidence was collected and investigations carried out.